Hydro Jetting, also known as hydrojetting or hydroscrubbing, is a technology we use on the toughest clogged drains. Typically we use hydro jetting to clear commercial drains in restaurants, food service businesses, delis, and other businesses that have a high level of constant use. For years, plumbers have used cable machines and cold water jetters to unclog pipes. Technology changed and we now have engineered new equipment that cleans pipes with hot water which is a much more effective drain and sewer cleaning solution. 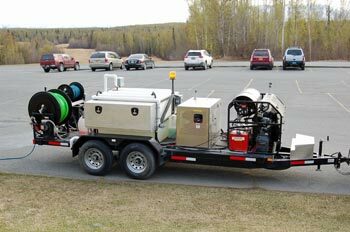 Why use a Hot Jet over traditional drain & sewer cleaning methods? What Does Hot Water Jetting Clean and Remove? Who can Use Hot Water Jetting? 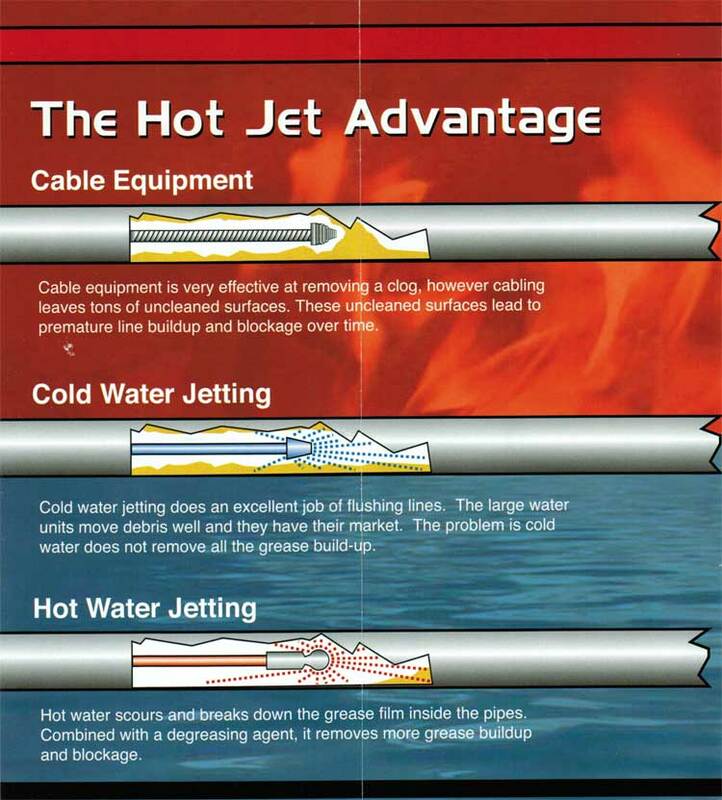 Hot Water Jetting is very cost effective. High pressure water jetting makes the cleaning easier, faster and with less mess. 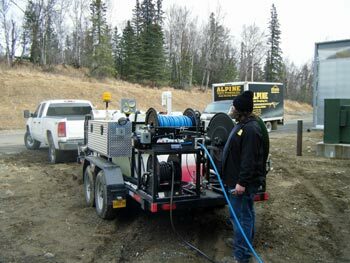 As your local provider of septic tank pumping, drain cleaning, steam thawing, video camera inspections and hot water jetting, Alpine Septic can indeed be your all around service provider for septic and sewer wastewater systems.